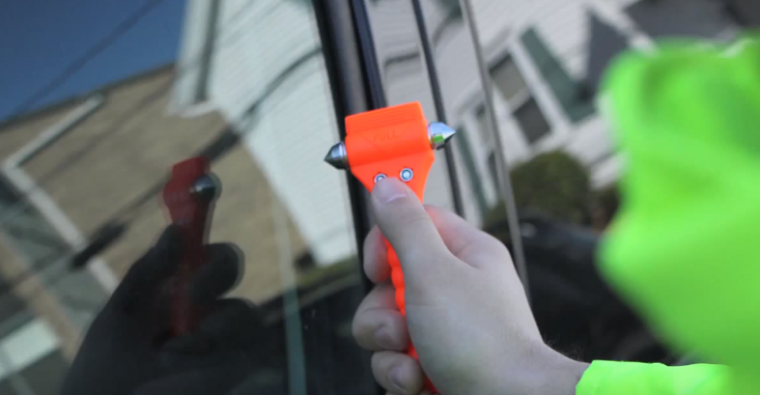 An auto emergency tool like this one is the most effective way to break a window if you’re trapped inside your vehicle. With today’s sophisticated vehicles, there are a number of ways you or your child could end up trapped inside. Electric windows or locks could fail, doors could become jammed, or your child could get locked in the trunk. While getting trapped in a car can be a scary experience, it doesn’t have to be more than that if you prepare yourself with these tips. 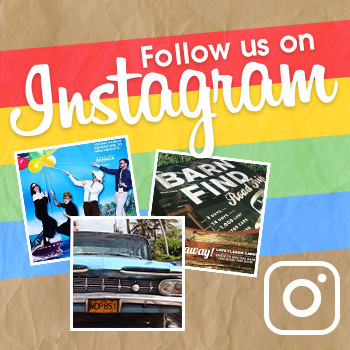 Learn all you can about your vehicle now. That way, if you’re ever stuck inside, you’ll have some knowledge to fall back on. 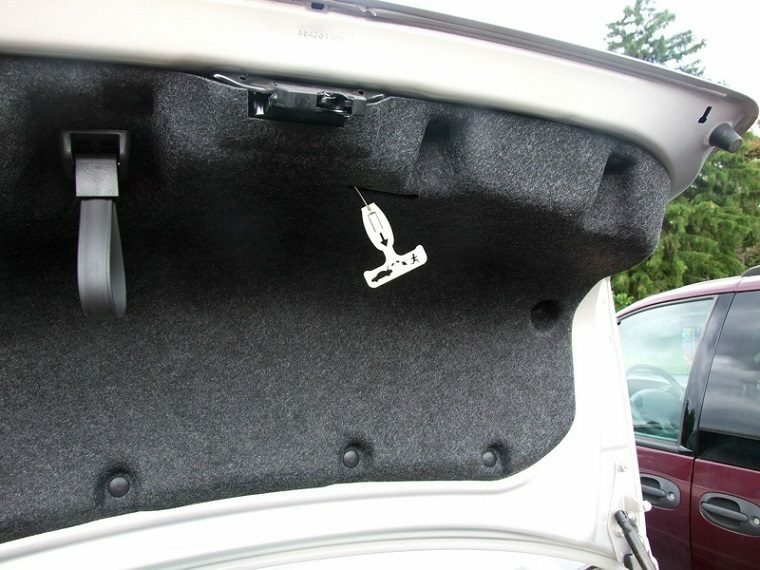 Examples of this include reading your owner’s manual, finding any emergency handles or electrical power reserves, and locating the trunk’s release lever or cable. If you have children, make sure they know this information, too. It’s also a good idea to invest in an emergency kit that includes escape equipment. Many companies manufacture pointed, hammer-like glass-breaking devices in case you need to smash your windshield. Another good item to have on hand: a spare, fully charged cellphone. For underwater escape advice, read this article. The following tips are best suited for dry land. If you get trapped inside your vehicle’s cabin, try to remain calm. Skim your owner’s manual for information that could help. Check all the doors and windows in case one still opens. Try honking the horn (if it works) or pounding on the windows and yelling to attract attention. Write a help message on a piece of paper and display it in the window. If these approaches don’t work or if you are in a secluded area, you may need to break your vehicle’s window. Make sure you try a side window first. These are made of tempered glass and designed to shatter, while the windshield is made of laminated glass and will only crack. Car windows are extremely difficult to break with a blunt object or fist, so having a tool made specifically to break glass will come in handy. If you don’t have one of these tools or any other suitable objects, try wrapping your hand or arm in a shirt or jacket and using your fist or elbow. If you or your child gets trapped in your vehicle’s trunk, don’t panic. There may be an easy solution. All cars manufactured after 2002 are required to have an easy-to-find emergency release lever inside the trunk. Cars made before 2002 often have a release cable that can be pulled to open the trunk.